As the average temperature of the Earth rises due to climate change, the temperature of the oceans rises as well. These drastic rise in ocean temperatures, affect marine organisms of all shapes and sizes. 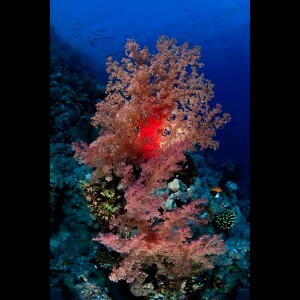 However, the most prominent effects have been observed on corals. Corals, which are home to thousands of marine creatures, are considered to be some of the most fascinating and eye pleasing marine organisms in the oceans. Unfortunately, they are also highly sensitive to environmental changes. In a recent article published in Science News (which can be found here), coral migration was studied and tracked by a group of scientists off the coasts of Japan. When they compared current results to data collected from different time periods starting in the 1930’s, they found out that various common coral species have retreated northward, and some have even gone as far as temperate waters. Furthermore, the abundance of coral has decreased proportionately with northward migration. If this trend were to continue and not be altered, the population of corals in the oceans will continue to decline. This decline is very unfortunate and it shows how deadly climate change can be. 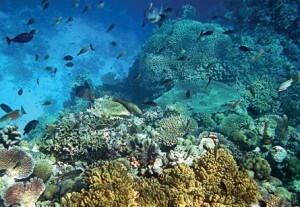 Corals are home to thousands of different marine organisms. Hence, the lost of corals, also causes the direct loss of other marine organisms. Ultimately this can lead to an overall reduction in biodiversity. Furthermore, the decline in coral also jeopardizes recreational activities such as scuba diving and snorkeling. Although this article, provides excellent evidence to support the fact that corals are moving north and their abundance is decreasing. It does not provide us with ways to prevent or slow down this process. Most of us are already aware of the drastic effects climate change has on marine organisms, but very few of us know how to directly prevent such events from occurring. Hopefully we’ll see more media coverage on prevention methods in the future, so that such events can be prevented or subdued in the future.